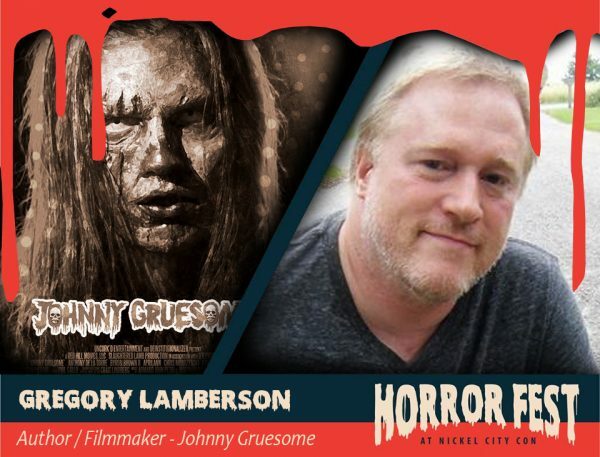 Buffalo based author and filmmaker Gregory Lamberson has been creating horror entertainment for 30 years. His first film, the 1986 grindhouse classic SLIME CITY, is an international cult film. Three of his novels – JOHNNY GRUESOME, PERSONAL DEMONS and THE FRENZY WAY – won the IPPY Gold Medal for Horror. He is the author of 15 books and the director of 8 feature films, including KILLER RACK, JOHNNY GRUESOME and the upcoming WIDOW’S POINT, starring Craig Sheffer. Lamberson is the co-founder of Buffalo Dreams Fantastic Film Festival, and is developing his six-book occult detective series “The Jake Helman Files” as a potential TV series with fellow director George Mihalka (MY BLOODY VALENTINE). An advocate for film production in Western New York, he is currently planning his next film to shoot here.